Based on experience in the field of doors, hatches and platform elevators Newthex can maintain your products. 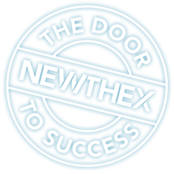 To keep the doors, hatches and elevators on board in a good shape and to reduce your maintenance cost, Newthex can offer service agreements. These agreements will also improve the safety on board. Newthex can deliver genuine spare parts out of stock or within short delivery times. Minimum requirements of spare parts on board can be advised by Newthex. Newthex also supplies spare parts of other brands of maritime doors, hatches and elevators. Newthex use ultrasonic test equipment, in order to test the watertightness of doors and hatches for your own safety as well as for Classification approval. Newthex provides class room and on board training to your technical staff. These courses are about usage, safety, maintenance and trouble shooting. Newthex provides manuals and instruction booklets. Our engineers are highly qualified service engineers with experience in hydraulic, mechanical and electric systems. Beside Newthex products we can service doors, hatches and elvators for any other brands. Please contact our service and after sales department for any request.